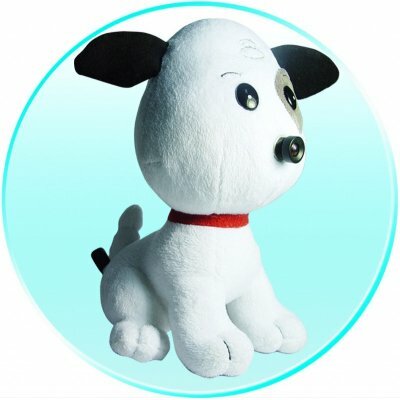 Successfully Added Wireless Baby Monitor - Camera In Nose Of Puppy Soft Toy to your Shopping Cart. This lovely little baby puppy doll with a hidden surprise. Inside of its nose is a small hidden 2.4GHz wireless Camera which transmits its pictures directly to the included 2.4GHz Receiver Baby Monitor. Children will love the cute look of the puppy, and parents will rest easier knowing that they are keeping an eye and ear out on their child. This wholesale priced Baby Monitor Set is a perfect item for any potential or current parents to have.